India is very huge country, not only in the area but in culture, in the landscape, in beauty, it is prominent. There are lots of things to see in India. You will see anything from everything be it snow, Mountains, Beaches, Deserts, Greenery, National Parks, Waterfalls, Caves, Rivers, Island, Waterfall and what not! On 14th February 2018, when people were spending time with their loved ones, I planned to leave my home for my love - traveling. I was going to explore almost 30% of my country in one go and I wanted to do this before visiting any other country. Because India has everything as I already said. I convinced my mom and dad for this long journey and booked the tickets. I didn’t know at that time when it will end or where it will end. I just booked a flight ticket to Srinagar, packed my bags and started this long journey. My trip was totally unplanned, as I started it from North-est point of India, all I knew was I am going to finish this trip somewhere in the South of India. This Kashmir to Kanyakumari trip is one of the most famous and yet difficult trips and many people have attempted it successfully completing many records. And now I too have a record on my name - India’s youngest solo Traveler who did Kashmir to Kanyakumari trip. I met so many new people on this Kashmir to Kanyakumari trip and some of them are my friends now. I have learned new things every day from different people and culture. Srinagar, Sonamarg, Gulmarg, Jammu, Katra, Pathankot, Hamirpur, Palampur, Rewalsar, Prashar lake, Mandi, Delhi, Mathura - Vrindavan, Jaipur, Ajmer, Pushkar, Bikaner, Jaisalmer, Jodhpur, Udaipur, Ahmedabad, Mumbai, Pune, Mahabaleshwar, Panchgani, Goa, Kannur, Ooty, Coimbatore, Kochi, Varkala and last Kanyakumari. It was an impulsive plan to leave my home like that, but I have been dreaming about it for almost a year. At that time, I didn’t have much money for this trip. So I did a job in an E-commerce company for 5 months and saved money. This year, I quit my job and started full time traveling from those savings. I am a backpacker, so I always prefer to travel on a very little budget. And the first rule of backpacking is to spend less and travel more. So I did hitchhike, Couchsurfing and everything that helped me in saving my money. Kashmir to Kanyakumari will always be the most memorable trip for me. As it was the first time I traveled for more than a month in one go. Hey!! 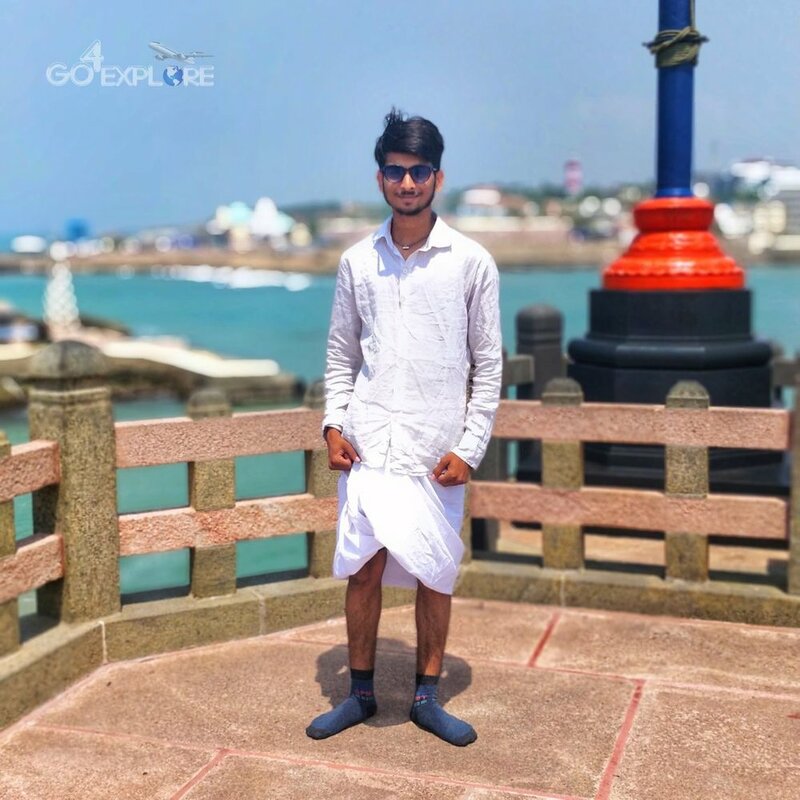 I am Nomadic Jony aka Jony Jindal, a 19 Years old Travel Blogger, Vlogger and Photographer and I have traveled solo for more than 50,000 km yet. I love to explore new places every day so this figure is only going to grow.